I ate breakfast on Edith's patio this morning and the Flatirons kept me company. The sun was just coming up, casting an orange-y glow on the rocks and it couldn't have benn more beautiful. 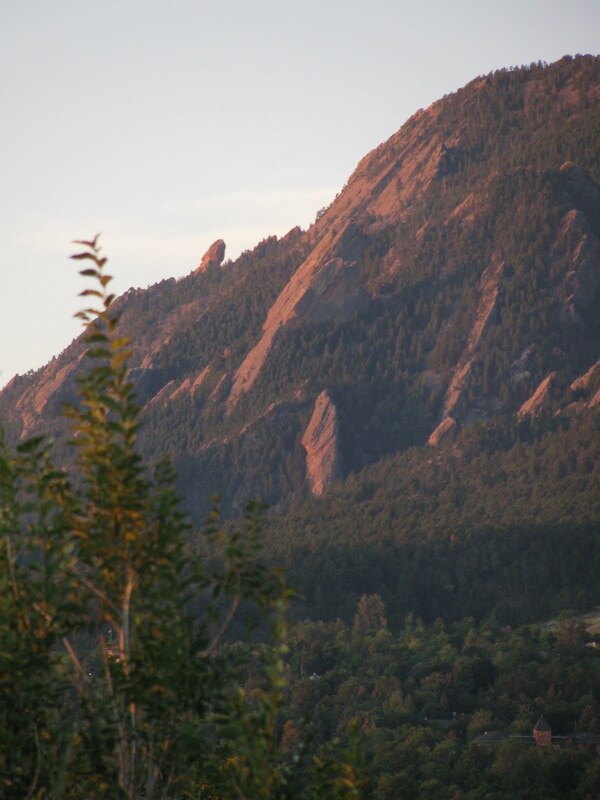 Anyone who has ever been to Boulder knows that the Flatirons define this pretty valley. Edith's house has almost floor to ceiling windows along the entire south side of the house. The view is just about 180 degrees, quite breath-taking. 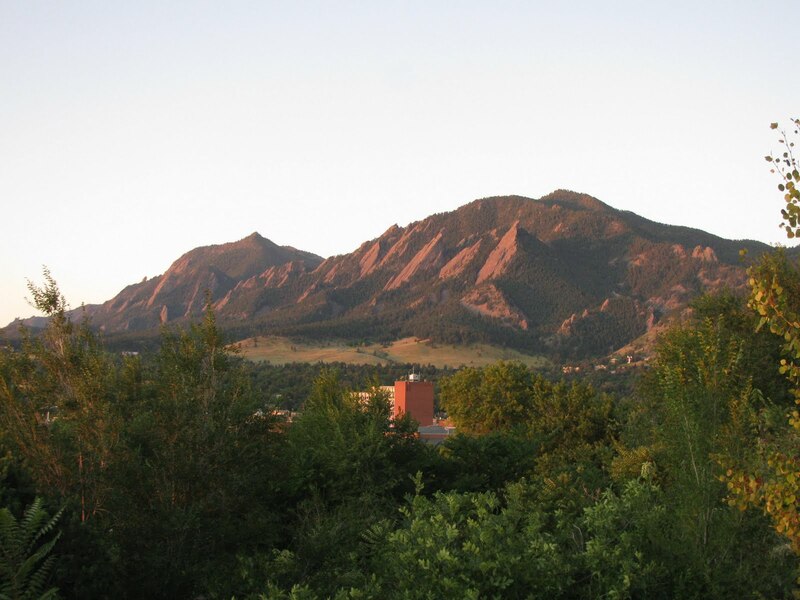 You can see all of the University of Colorado at Boulder, NCAR up on the mesa and all of downtown Boulder. The photo below is a zoomed shot of Devil's Thumb. How beautiful and how fun to see Edith!